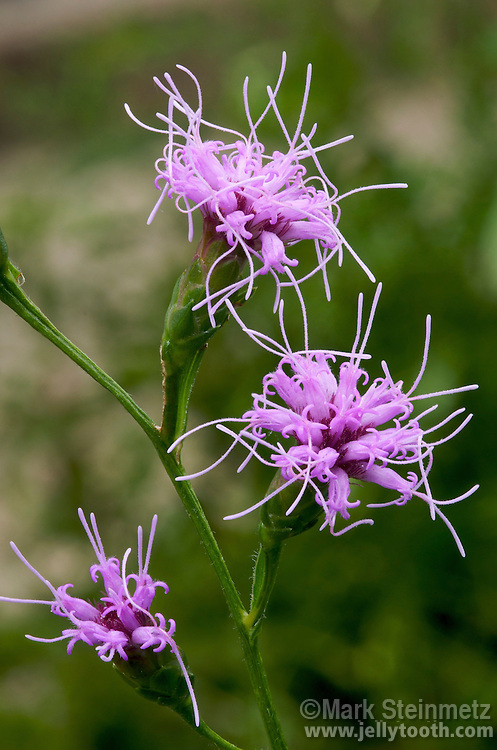 Slender Blazing Star (Liatris cylindracea), otherwise known as Ontario Blazing Star, Dwarf Blazing Star, Cylindrical blazing star, and Barrelhead gayfeather. Distributed across eastern and central North America in habitats such as prairies, barrens, sand dunes, and around rock outcroppings. Franklin County, Ohio, USA.